Contributing to sustainability (economic, social and environmental). Who is training aimed at? Training is appropriate for all. In addition to training required by legislation, deer managers should also be aware of the range of opportunities available to them to maintain, upgrade and update their skills. 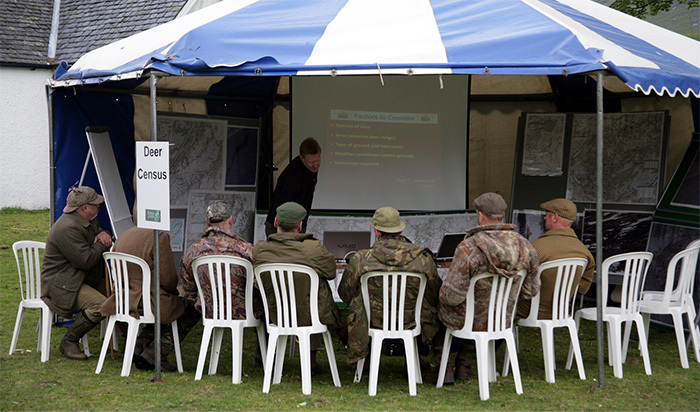 As well as gaining the basic skills and knowledge to carry out deer management tasks competently, practitioners should also consider training as something that continues throughout their working life (Continual Professional Development). It should also be recognised that each individual’s training needs will be different. Provide free information and training on health and safety to all employees who need it. Have a responsibility to cooperate with their employers over safety matters (Health & Safety at Work Act, 1974). Training relating to competency skills. These skills are required to carry out deer management tasks competently. Improving skills and knowledge base helps both businesses and individuals develop. Ensure that paid and unpaid workers have the skills and knowledge to do the job and that skills and knowledge are kept up to date. Training can benefit not just an individual’s personal development but also enables employers to identify the right people with the right skills. 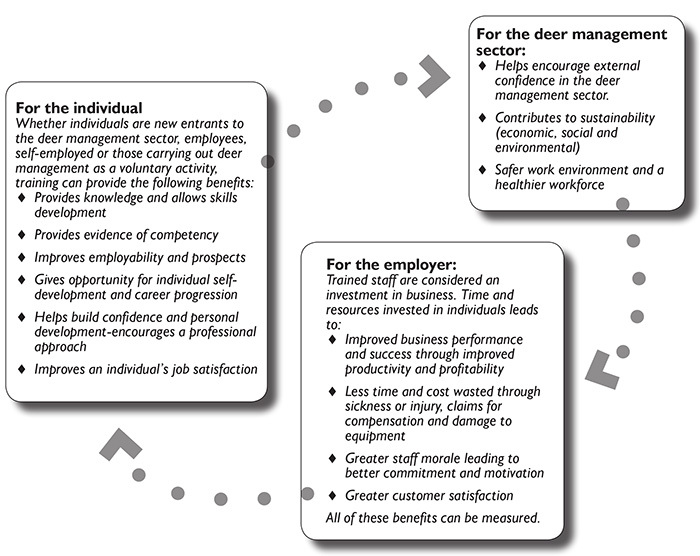 The potential benefits and impacts of a highly skilled workforce to the deer management sector are numerous. Whether as an employer or an individual, the following three steps will help identify skills gaps and learning needs and the most appropriate type of training. 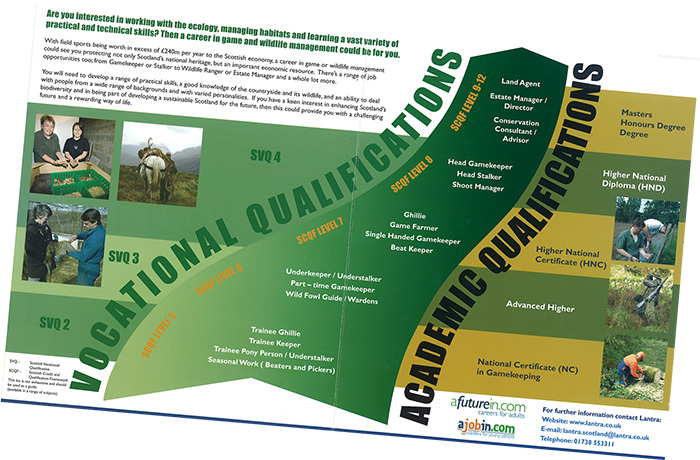 Knowledge and expertise in game meat and hygiene legislation, and food traceability issues. There will be an increased requirement for qualified specialists to advise and deal with these issues. 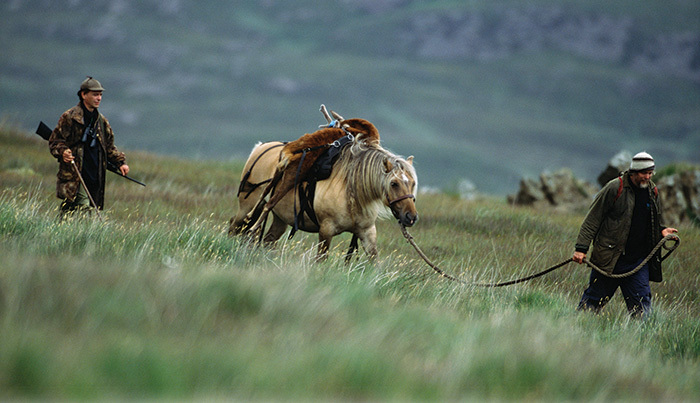 The existing skills of the stalker will be enhanced and continue to develop to meet the increasing call for better integrated land management. These skills, such as species counting and habitat assessment, will be required to manage legislative demands and development projects. Business development, management, technology and communications skills. Operators will require these skills to compete in a global market. Whatever your age, experience or ambitions, there are qualifications and routes into learning to suit you. Assess what information or training you need to be to be effective but also that will encourage self development and career development. Once skills gaps have been identified, the next step is to consider how best to deliver training. Learning can take place by a number of routes and can be either formal or informal (see diagram below). Formal training generally involves assessment and the achievement of qualifications (through vocational training, academic training or a short course such as DSC, Food Hygiene, Hunter Training). Informal training can be work shadowing, events, workshops-no formal qualification. In assessing training and development needs, it is important to recognise that each individual’s training needs will be different. Establish the most effective type of training taking into account individual learning requirements. Once you have established the type of training/learning required, the next step is to find training/learning opportunities, providers and funding. There are a number of sources of information depending on the type of training/learning and funding required. Contact details for all the following can be found in the BP Contacts page. • Skills Development Scotland (provides comprehensive information, advice and guidance for careers and learning as well as extensive support for skills development). • Deer Management Qualifications Ltd (Company, which maintains the Deer Stalking Certificate (DSC), Food Hygiene, Hunter Training standard, quality assures the assessment process, and administers the awards). 1.The detailed legal requirements covering the provision of information and training are set out in the Management of Health and Safety at Work Regulations 1992: Approved Code of Practice L21 1992 ISBN 0 7176 0412 8, and in A guide to the Health and Safety at Work etc Act 1974: guidance on the Act L1 (4th edn) 1990 ISBN 0 7176 0441 , both available from HSE Books. For further contact information see BP Contacts. **Lantra’s Online Competence Framework (OCF) is an online system that allows employers, employees and volunteers to assess their own skills, recording practical experiences and achievements as well as qualifications - a clear must in the sector where many skills are developed in the workplace and not the classroom. Based upon industry defined job roles and National Occupational Standards the OCF provides a skills recording tool and career maps which arm employees and employers with a common standard to work to. It identifies skills gaps so that training can be implemented, leading towards better skilled employees, improved staff retention and increased productivity.